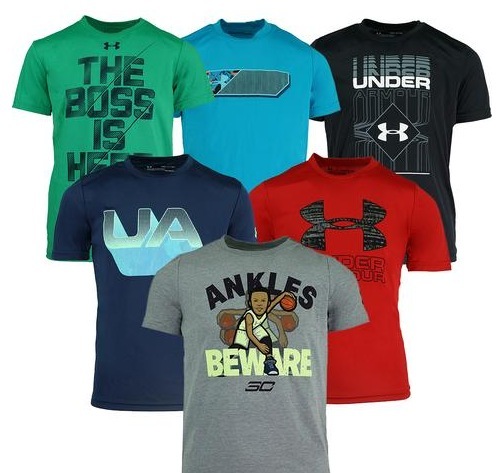 Under Armour Boys’ Mystery Tech T-Shirt 3-Pack only $25 shipped! Proozy is currently offering this Under Armour Boys’ Mystery Tech T-Shirt 3-Pack for only $25 shipped when you use the promo code MSM25 at checkout! You get to choose your size, but the colors will be random. Valid through March 2, 2018. « Hot Wheels Star Wars Starships 6-Pack only $5.60!